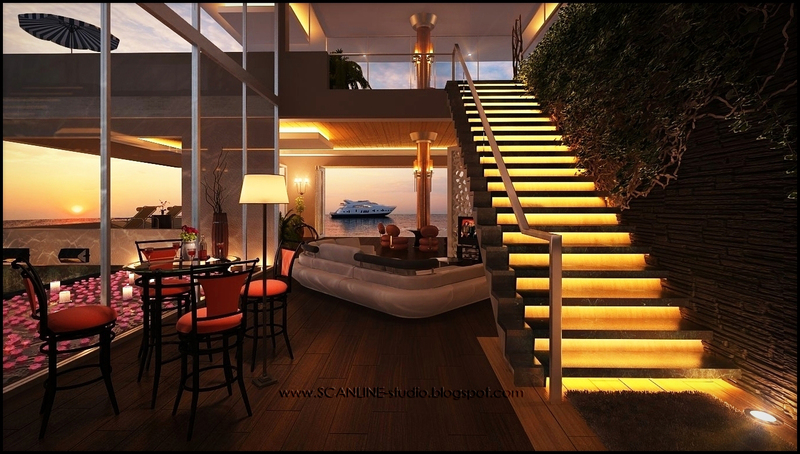 This is my latest job, conceptual design for 3D rendering challange at "3D render party"
That looks great. Before I zoomed in I thought those were photos! The staircase is the giveaway, really. Light's a bit too harsh on those steps. But that's still really, really good work. I don't think it's too saturated, I like color though. It really makes me want to go there though. Great job. I think, you should to do more reflection on the floor. Like your design color combinations, like the living room layout. This is simply my dream house! 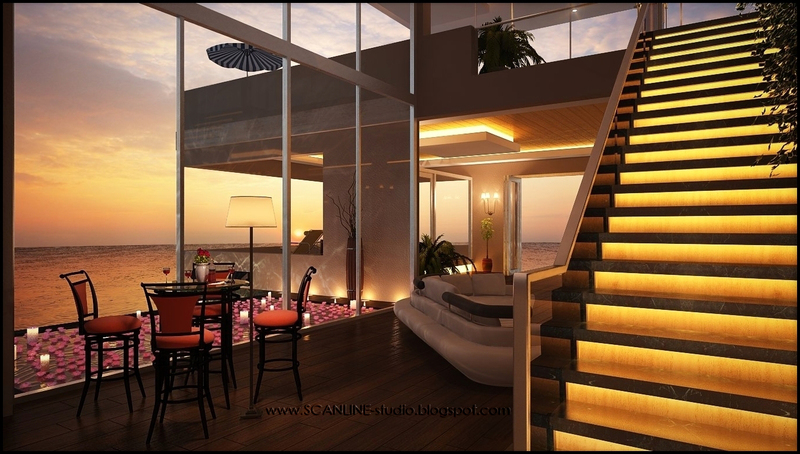 That look great....the structure design is good...especially the stairs direction on the right place. Wow those are some really nice renders. 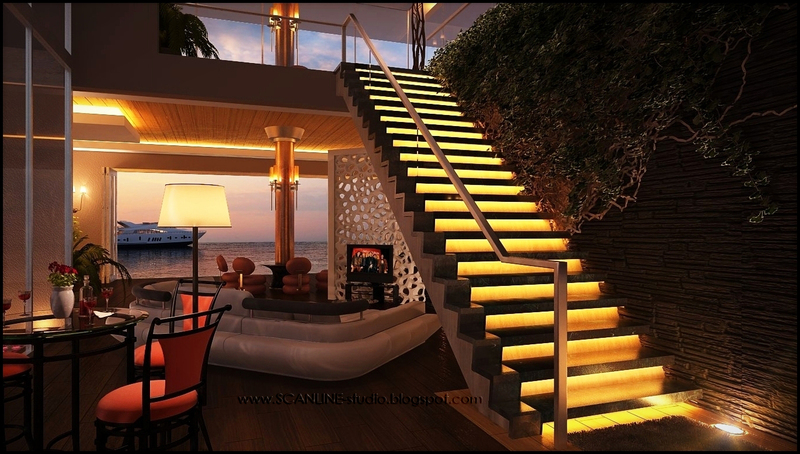 Im liking the lighting on the staircase, really adds to the whole image. They look like photos! And I love the setting, the sunset lighting is beautiful, and really well done. Amazing job! Looks real! How long did this take? Yeah, lightning is really amazing here!